Artdeco Double Finish Refill - this is a cream foundation and I bought it few shades darker so I can use it for contouring. Till now, it's working great! 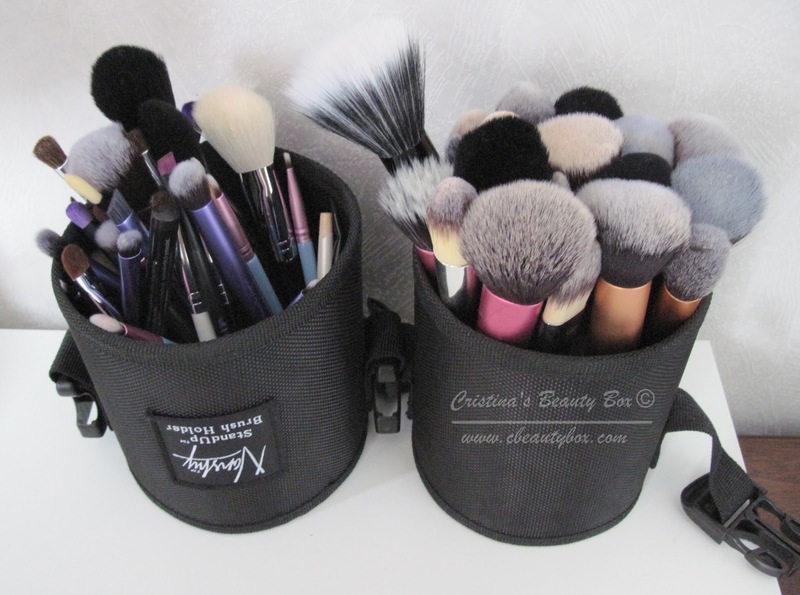 Nanshy Brushes, Makeup blending sponges and brush holders (picture of the holders is below) - this are the only tools that I used to apply my foundation/concealer since Nanshy kindly sent them to me, and I love them. Rimmel Kate Moss lipstick in shade 16 - this was part of my February wishlist because a lot of bloggers and youtubers rave about them and also my mom like them. I am not disappointed! 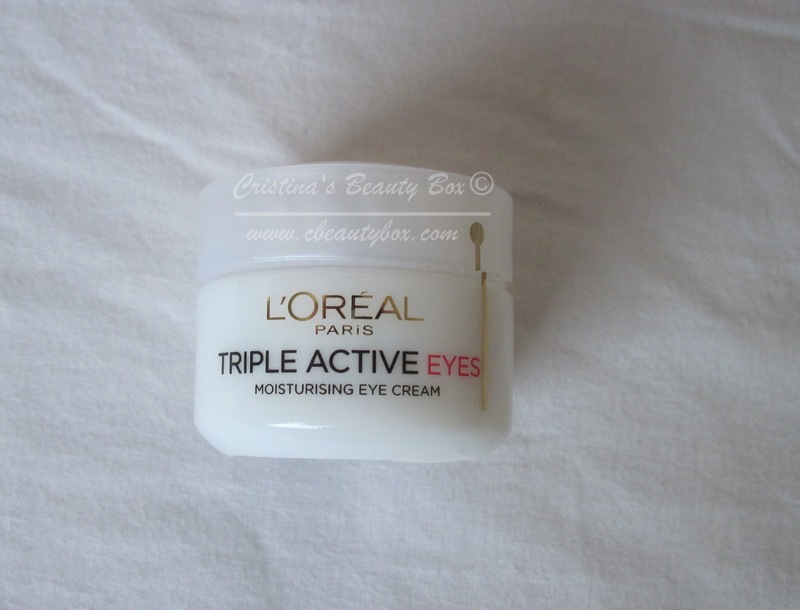 L'ORÉAL Triple Active Eyes - my eye area was getting a little bit on the dry side so an eye cream was needed. Till now, I really enjoy using it! EuroShopper Hand Cream - I bought this on our way to Estonia because I forgot my hand lotion at home and my hands were filling so dry. I ended up quite liking it! This is all for my February haul! As I said I didn't buy anything to expensive and I also didn't buy too much. I am so proud of my self! What did you buy in February? This is all from me for today, but let's keep in touch on Facebook, Twitter, Instagram, Google Plus and Pintrest :) Also, why not subscribe to my RSS feed? What an awesome haul! 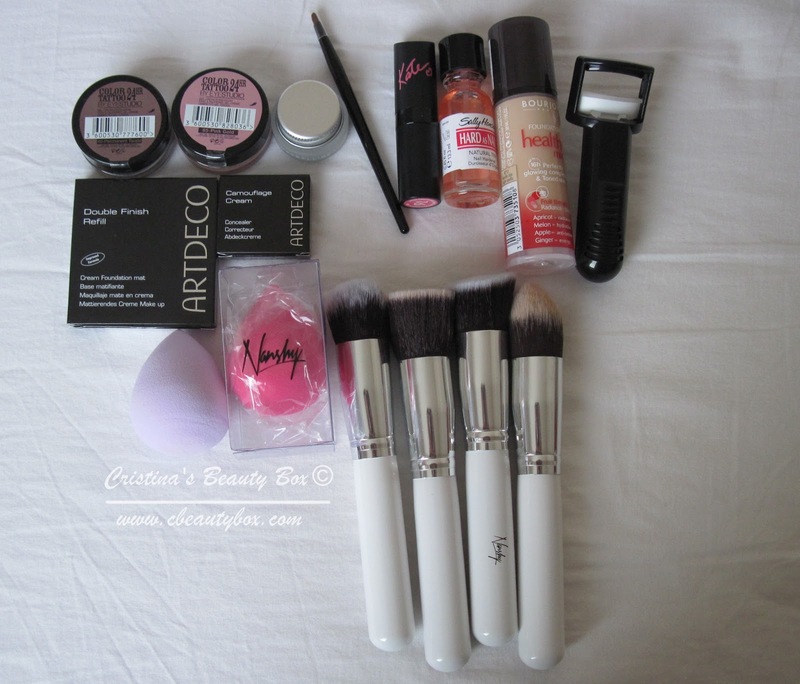 I've been doing my best to be on a spending ban atm, but the worst thing about being a beauty blogger is I see what everyone else gets and expands my wishlist!